When a fire place becomes a jewel. 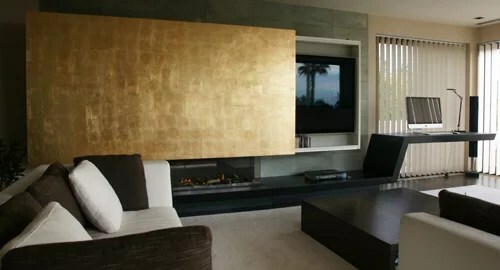 A fireplace integrating a TV screen and desktop. In the small details is where you can find the excellence.